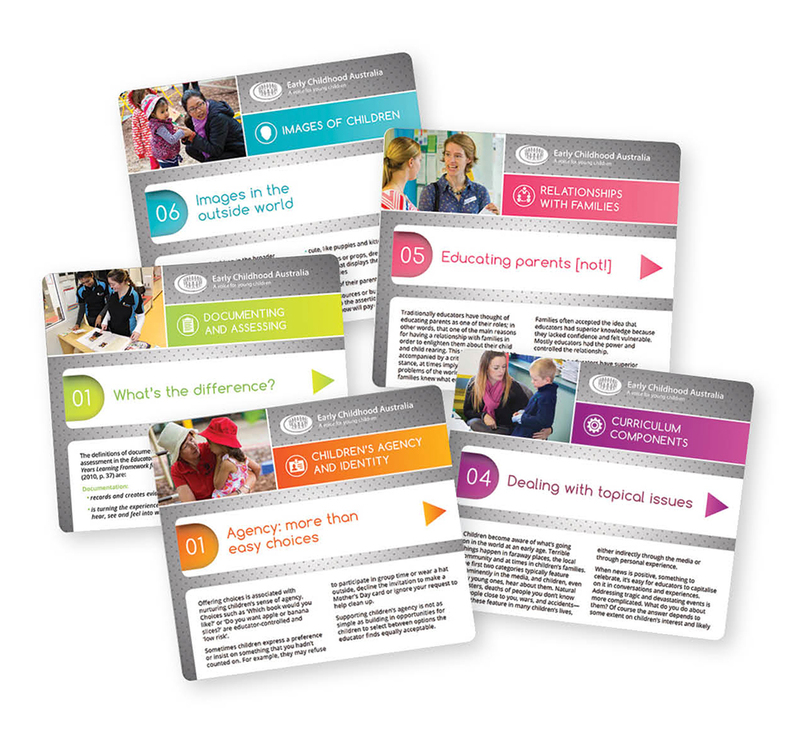 The cards in this collection are intended to support critical reflection, discussion, debate and deeper thinking about teaching, learning and what it means to be a professional educator. Their use will result in a better learning experience for children, families and educators. 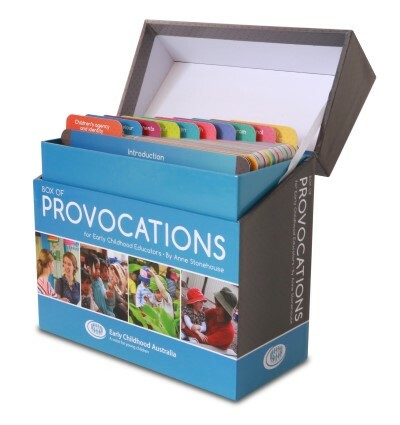 The provocations can be used with educators with all levels of formal qualifications and experience. There are many ways to use the provocations in a variety of settings. Beautifully presented and made to last, these will be a popular resource in your service for many years to come. Being a critically reflective educator. Anne Stonehouse AM works as a consultant, writer and facilitator of professional learning in early childhood. She has published many books, articles and other resources for educators and parents. Her main professional interests are the nature of good quality curriculum for babies and toddlers, and family-educator relationships in early learning settings. Anne was also a member of the writing team in the consortium that developed the national Early Years Learning Framework.